Psychology and metaphysics are connected. They are both about emotions, the way the brain works, healing, and awareness. Today we know that most people have some degree of emotional problems created by genetics and environment. The focus is on healing and balance, not an easy assignment in today's bipolar world, where more and more people seem dysfunctional. It's about the journey of human consciousness in the alchemy of time. The word "psychology" is the combination of two terms - soul (psyche) and study (ology). The derivation of the word from Latin gives it this clear and obvious meaning: The study of the soul or mind. It is the science of the human soul; specifically, the systematic or scientific knowledge of the powers and functions of the human soul, so far as they are known by consciousness; a treatise on the human soul.  Psychology is an academic and applied field involving the study of the human mind, brain, and behavior. Psychology also refers to the application of such knowledge to various spheres of human activity, including problems of individuals' daily lives and the treatment of mental illness. Psychology differs from anthropology, economics, political science, and sociology in seeking to capture explanatory generalizations about the mental function and overt behavior of individuals, while the other disciplines rely more heavily on field studies and historical methods for extracting descriptive generalizations. In practice, however, there is quite a lot of cross-fertilization that takes place among the various fields. Psychology differs from biology and neuroscience in that it is primarily concerned with the interaction of mental processes and behavior, and of the overall processes of a system, and not simply the biological or neural processes themselves, though the subfield of neuropsychology combines the study of the actual neural processes with the study of the mental effects they have subjectively produced. Rudolph Goclenius, a German scholastic philosopher, is credited with inventing the term 'psychology' (1590). The root of the word psychology (psyche) means "soul" in Greek, and psychology was sometimes considered a study of the soul (in a religious sense of this term). Psychology as a medical discipline can be seen in Thomas Willis' reference to psychology (the "Doctrine of the Soul") in terms of brain function, as part of his 1672 anatomical treatise "De Anima Brutorum" ("Two Discourses on the Souls of Brutes"). Until about the end of the 19th century, psychology was regarded as a branch of philosophy. In 1879 Wilhelm Wundt founded a laboratory at the Leipzig University in Germany specifically to focus on the study of psychology. William James later published his 1890 book, Principles of Psychology which laid many of the foundations for the sorts of questions that psychologists would focus on for years to come. Other important early contributors to the field include Hermann Ebbinghaus (a pioneer in studies on memory) and the Russian Ivan Pavlov (who discovered the learning process of classical conditioning). Meanwhile, Sigmund Freud, who was trained as a neurologist and had no formal training in experimental psychology, had invented and applied a method of psychotherapy known as psychoanalysis. Freud's understanding of the mind was largely based on interpretive methods and introspection, but was particularly focused on resolving mental distress and psychopathology. Freud's theories were wildly successful, not least because they aimed to be of practical benefit to individual patients, but also because they tackled subjects such as sexuality and repression as general aspects of psychological development. These were largely considered taboo subjects at the time, and Freud provided a catalyst for them to be openly discussed in polite society. Although it has become fashionable to discredit many of Freud's more outlandish theories, his application of psychology to clinical work and his more mainstream work has been massively influential. Partly as a reaction to the subjective and introspective nature of psychology at the time, behaviorism began to become popular as a guiding psychological theory. Championed by psychologists such as John B. Watson, Edward Thorndike, and B.F. Skinner, behaviorists argued that psychology should be a science of behavior, not the mind, they rejected the idea that internal mental states such as beliefs, desires, or goals, could be studied scientifically. In his paper "Psychology as the Behaviourist Views It" (1913), Watson argued that psychology "is a purely objective experimental branch of natural science", "introspection forms no essential part of its methods" and "The behaviorist recognizes no dividing line between man and brute". Behaviorism was the dominant model in psychology for much of the early 20th century, largely due to the creation and successful application (not least of which in advertising) of conditioning theories as scientific models of human behavior. However, it became increasingly clear that although behaviorism had made some important discoveries, it was deficient as a guiding theory of human behavior. Noam Chomsky's review of Skinner's book Verbal Behavior (that aimed to explain language acquisition in a behaviorist framework) is considered one of the major factors in the ending of Behaviorism's reign. Chomsky demonstrated that language could not purely be learnt from conditioning, as people could produce sentences unique in structure and meaning that couldn't possibly be generated solely through experience of natural language, implying that there must be internal states of mind that behaviorism rejected as illusory. Similarly, work by Albert Bandura showed that children could learn by social observation, without any change in overt behavior, and so must be accounted for by internal representations. However, many psychologists have not been happy with what they perceive as 'mechanical' models of the mind and human nature. Coming full circle, Transpersonal Psychology and the Analytical Psychology of Carl Jung seek to return psychology to its spiritual roots. Others, such as Serge Moscovici and Gerard Duveen, argue that behavior and thought are essentially social in nature and seek to embed psychology in a broader social scientific study that incorporates the social meaning of experience and behavior. Mind and Brain - Mind and Brain PortalPsychology describes and attempts to explain consciousness, behavior and social interaction. Empirical psychology is primarily devoted to describing human experience and behavior as it actually occurs. In the past 20 years or so psychology has begun to examine the relationship between consciousness and the brain or nervous system. It is still not clear in what ways these interact: does consciousness determine brain states or do brain states determine consciousness - or are both going on in various ways, but perhaps to understand this you need to know the definition of "consciousness" and "brain state" - or is consciousness some sort of complicated 'illusion' which bears no direct relationship to neural processes? An understanding of brain function is increasingly being included in psychological theory and practice, particularly in areas such as artificial intelligence, neuropsychology, and cognitive neuroscience. Psychology is an extremely broad field, encompassing many different approaches to the study of mental processes and behavior. Below are the major areas of inquiry that comprise psychology. Abnormal psychology is the study of abnormal psychological behavior in order to describe, predict, explain, and change abnormal patterns of functioning. Abnormal psychology studies the nature of psychopathology and its causes, and this knowledge is applied to treating patients with psychological disorders in clinical psychology. The Diagnostic and Statistical Manual of Mental Disorders, published by the American Psychiatric Association, is the handbook used most often in diagnosing mental disorders in the United States. The current version of the book is known as DSM IV-TR. It lists a set of disorders and provides detailed descriptions on what constitutes a disorder, such as Major Depression or Anxiety Disorder. Biological psychology is the scientific study of the biological bases of behavior and mental states. Because biological psychology and neuroscience both study the nervous system often using the same techniques (such as fMRI and MEG), it is difficult to say whether biological psychology is a branch of neuroscience (or vice versa) or whether they are one and same. Many researchers use the terms interchangeably. Biological psychology is also known as biopsychology, psychobiology, physiological psychology, behavioral neuroscience, and neuropsychology. Clinical psychology is the application of abnormal psychology research to the understanding, treatment, and assessment of psychopathology, including behavioral and mental health issues. It has traditionally been associated with psychological treatment and psychotherapy, although modern clinical psychology may take an eclectic approach, including a number of therapeutic approaches. Typically, although working with many of the same clients as psychiatrists, clinical psychologists do not prescribe psychiatric drugs. Some clinical psychologists may focus on the clinical management of patients with brain injury. This area is known as clinical neuropsychology. Cognitive Psychology is the school of psychology that examines internal mental processes such as problem solving, memory, and language. It had its foundations in the Gestalt psychology of Max Wertheimer, Wolfgang Kohler, and Kurt Koffka, and in the work of Jean Piaget, who studied intellectual development in children. Cognitive psychologists are interested in how people understand, diagnose, and solve problems, concerning themselves with the mental processes which mediate between stimulus and response. Cognitive theory contends that solutions to problems take the form of algorithms - rules that are not necessarily understood but promise a solution, or heuristics - rules that are understood but that do not always guarantee solutions. In other instances, solutions may be found through insight, a sudden awareness of relationships. Counseling psychology as a psychological specialty facilitates personal and interpersonal functioning across the life span with a focus on emotional, social, vocational, educational, health-related, developmental, and organizational concerns. Counseling psychology differences from clinical psychology in that it is focused more on normal developmental issues and everyday stress as opposed to severe mental disorders. Counseling psychologists are employed in a variety of settings, including universities, private practice, businesses, and community mental health centers. Evolutionary psychology (abbreviated ev-psych or EP) is a theoretical approach to psychology that attempts to explain "useful" mental traits - such as memory, perception, or language - as adaptations, i.e,. as the functional products of natural or sexual selection. The purpose of this approach is to bring the functional way of thinking about biological mechanisms like the immune system into the field of psychology, and to approach psychological mechanisms in a similar way. In short, evolutionary psychology is focused on how evolution has shaped the brain. Though applicable to any organism with a nervous system, most research in evolutionary psychology focuses on humans. The majority of psychological research is conducted in the laboratory under controlled conditions. This method of research relies completely on the scientific method to determine the basis of behavior. Common measurements of behavior include reaction time and various psychometric measurements. Experiments are conducted to test a particular hypothesis. B.F. Skinner was an American psychologist and pioneer of experimental psychology and behaviorism. Forensic psychology is the area concerned with the application of psychological methods and principles to the legal arena. Most typically, forensic psychology involves a clinical analysis of a particular individual and an assessment of some specific psycho-legal question. Typically, referrals to forensic practices constitute assessments for individuals that have ostensibly suffered neurologic insult(s). These patients have sought legal recourse, and the job of the forensic psychologist is to demonstrate that there is or is not (depending on their employ by either the prosecution or defense) a cause-and-effect relation between the accident and the subsequent (again, ostensible) neurologic change. A job required of the forensic psychologist in any case is the detection of malingering, although this is not exclusive to forensics. Malingering, or the detection of 'faking' (this term is used somewhat liberally) is particularly germane to a forensic assessment, for obvious reasons. In addition to such applied practices, it also includes academic or empirical research on topics involving the relationship of law to human mental processes and behavior. Industrial and organizational psychology (also known as I/O psychology, work psychology, occupational psychology or personnel psychology) is the study of the behavior of people in the workplace. Industrial and organizational psychology applies psychological knowledge and methods to aid workers and organizations. Historically, job analysis has been the traditional means for which essential characteristics associated with any particular position are identified. A thorough job analysis takes time, resources and money but its benefits tend to out weigh the costs, especially when the position is of great importance, such as an executive position in a major corporation. Neuropsychology is a branch of psychology that aims to understand how the structure and function of the brain relate to specific psychological processes.It is scientific in its approach and shares an information processing view of the mind with cognitive psychology and cognitive science. It is one of the more eclectic of the psychological disciplines, overlapping at times with areas such as neuroscience, philosophy (particularly philosophy of mind), neurology, psychiatry and computer science (particularly by making use of artificial neural networks). In practice neuropsychologists tend to work in academia (involved in basic or clinical research), clinical settings (involved in assessing or treating patients with neuropsychological problems - see clinical neuropsychology), forensic settings (often assessing people for legal reasons or court cases or working with offenders, or appearing in court as expert witness) or industry (often as consultants where neuropsychological knowledge is applied to product design or in the management of pharmaceutical clinical-trials research for drugs that might have a potential impact on CNS functioning). Parapsychology is the study of mental awareness or influence of external objects without interaction from known physical means. Most objects of study fall within the realm of "mind-to-mind" influence (such as extra-sensory perception, folie a deux and telepathy), "mind-to-environment" influence (such as psychokinesis) and "environment-to-mind" (such as hauntings). Collectively, these abilities are often referred to as "psionics". Another definition of parapsychology is the scientific study of paranormal phenomena. The scientific validity of parapsychology research is a matter of frequent dispute and criticism. It is widely regarded as a pseudoscience, but, obviously, supporters of parapsychology reject this term. A number of academic institutions now conduct research on the topic employing the scientific method, and the field of psi research is not without high level support, with a number of eminent scientists being of the belief that the field is worthy of analysis. Personality psychology studies enduring psychological patterns of behavior, thought and emotion, commonly called an individual's personality. Theories of personality vary between different psychological schools. Trait theories attempts to break personality down into a number of traits, by use of factor analysis. The number of traits have varied between theories. One of the first, and smallest, models was that of Hans Eysenck, which had three dimensions: extraversion - introversion, neuroticism - emotional stability, and psychoticism. Raymond Cattell proposed a theory of 16 personality factors. The theory that has most empirical evidence behind it today may be the "Big Five" theory, proposed by Lewis Goldberg and others.A different, but well known, approach to personality is that of Sigmund Freud, whose structural theory of personality divided personality into the ego, superego, and id. 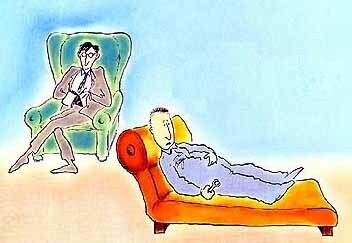 Freud's theory of personality has been criticized by many, including many mainstream psychologists. Please add the following sentence: "School psychology is the area of discipline that helps children succeed academically, socially, and emotionally. School psychologists collaborate with educators, parents, and other professionals to create safe, healthy, and supportive learning environments for all students that strengthen connections between home and school. Social psychology is the study of the nature and causes of human social behavior, with an emphasis on how people think towards each other and how they relate to each other. Social Psychology aims to understand how we make sense of social situations. For example, this could involve the influence of others on an individual's behavior (e.g., conformity or persuasion), the perception and understanding of social cues, or the formation of attitudes or stereotypes about other people. Social cognition is a common approach and involves a mostly cognitive and scientific approach to understanding social behavior. A related area is community psychology, which examines psychological and mental health issues on the level of the community rather than using the individual as the unit of measurement. "Sense of community" has become its conceptual center.